Our range of products include acrylic base waterproofing chemical, sbr latex base waterproofing chemical, sbr super waterproofing chemical, diamond shield water proofing chemical, latex base waterproofing chemical and cement base waterproofing chemical. Acrylic Base Waterproofing Chemical (Acrylic Based Waterproofing Paint) is an elastomeric, flexible single pack waterproofing membrane made out of 100% pure acrylic polymers under the technical collaboration of M/s Insulating Paints Inc Australia. It is used to fill Hair line cracks on walls and terrace. It's gives a smooth and sheen finish to all surfaces. It has been tested by G.E.R.I. Vadodara & National Test House Calcutta. It is washable and Scrub resistant. It eliminates the requirement of any other primer coat. Excellent resistance to algae and fungus. Being elastic in nature it allows minor structural movements. 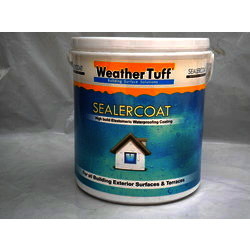 On Smooth Surface,1Kg Sealercoat Covers Approximately 25 sqft in 2 coats. It can be apply for Galvanize/ Asbestos Sheet and also for R.C.C & Cement Surfaces. Surface Preparation: Clean the surface with adequate quantity of water. 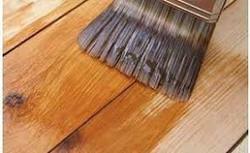 Make surface dust & grease free; remove all previous coatings which may have loose bond with the surface. If required, scrub with wire brush or use scrapper to remove old flake, chips & dust. Primer Coat: Old, uneven and highly porous cement surfaces absorb essential polymers of Sealercoat. Hence- apply one or two coats of Sealoxy Primer or any other water based Undercoat for the best results and good finish. Final Finish: Apply two Coats of Diluted Sealercoat with 15% water & should be applied with an interval of 3 to 4 hours between two coats. Surface Preparation: Clean the surface and make it dust, grease & Oil free and then apply a coat of good quality zinc phosphate primer to avoid corrosion of the metal sheet. Joint Filling: Between the overlaying joints of Galv. / Asb. Sheets, insert cotton bedding or gauze, soaked & dipped in un diluted Sealercoat for at least 2 inch in depth. (Length wise). Galvanized “J” bolts may be covered with cotton gauze dipped in undiluted Sealercoat & liberally wrapped around the bolt to cover sufficient area. 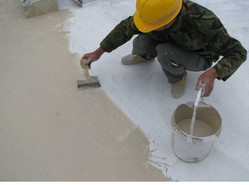 SBR Latex Base Waterproofing Chemical is a Styrene Butadiene based liquid useful as an additive for concrete / mortars in waterproofing applications, as well protective coating to debars and cementitious substrates. It also serves as bond coat to repair section. White liquid mixed in cement mortar can be easily applied by brush. 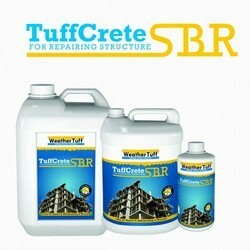 Repair mortar, modified with Tuff Crete - SBR suitable for repairing of RCC members. Mix TUFFCRETE- SBR with neat cement in 1:1.5 proportions by weight. Pre wet the surface before application of TUFFCRETE- SBR Apply 2 coats of TUFFCRETE- SBR with neat cement in 1:1.5 proportion by weight With gap of 4 to 6 hours, over the cleaned surface. Cure the surface by sprinkling water for 3-4 days. The surface should be thoroughly cleaned and free from oil, grease and other contaminates. Remove loose materials also. 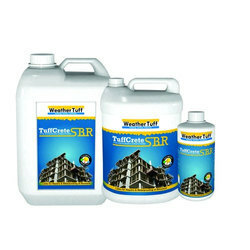 We are offering a wide range of SBR Super Waterproofing Chemical.This waterproofing has developed adhering to industry standards. It has waterproofing to ensure flawless performance. Useful as waterproofing coat in toilets, roofs and terraces. 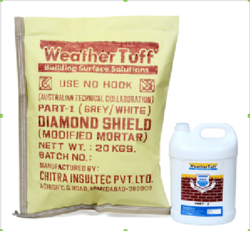 Our organization is placed among the noteworthy enterprise engaged in offering an excellent assortment of Diamond Shield Water Proofing Chemical. This efficient shield is manufactured using quality materials and advanced technology. Our professionals manufacture all kinds of shield according to the trending demands and clients’ needs. In addition, the offered shield is built and developed adhering to industry standards. Furthermore, quality control team opts for strict quality inspection to assure flawless performance of the shield during operation. Besides, clients can get the shield from us at industry leading cost. 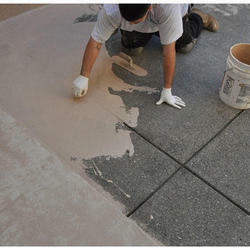 We are offering a wide range of Latex Base Waterproofing Chemical. Leveraging on our intelligent professionals, we are presenting a wide assortment of Cement Base Waterproofing Chemical. It can be applied on roofs, walls, terraces, parapet walls, sloping roof & side walls of buildings with 3 to 5 mm thick layer coating for waterproofing. It gives excellent results when applied in the sunk portion of the bathrooms, toilets and swimming pools. 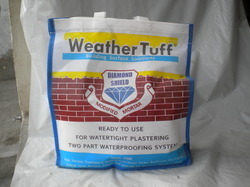 The offered waterproofing can be applied as an under layer for terrace tiles work, and also as a filler to tile joints. Cost effective &ready to use two components. Can be used for protection of steel structure from chlorination and oxidation. Simple application by brush, Mason apparatus or plastering applicators. 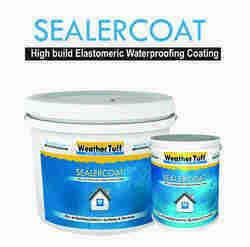 Sealer Coat is an flexible single pack UV resistance Elastomeric Waterproofing Coating Chemical. 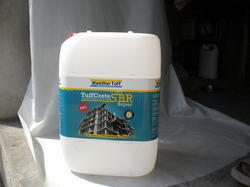 It is used as an water resistance coat and to fill Hair line cracks on walls and terrace. It gives a smooth and sheen finish to all surfaces. As a trust worthy organization of this domain, we are committed to offer our clients a superior quality assortment of Sunken Area Waterproofing Chemical. It can be applied on roofs, walls, terraces, parapet walls, sloping roof and side walls of buildings with 3 to 5 mm thick layer coating for waterproofing. Also, it gives excellent results when applied in the sunken portion of the bathrooms, toilets and swimming pools. Apart from this, clients can get the material from us at marginal rates. Material Acrylic ester and many polymer emulsions. We are offering a wide gamut of Acrylic Elastomeric Waterproof Coating. 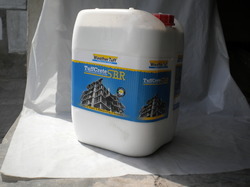 We are offering a wide range of Integral Water Proofing Chemical. It is a combination of organic and inorganic components that reacts with Portland cement to produce complete hydration. The increased hydration not only provides internal curing & a much denser cement paste, but also increases the early & ultimate strength of concrete thus produces highly durable impermeable concrete or mortar, for the protection against water leakages. 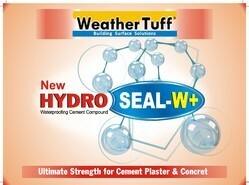 Completely water tight cement concrete or plaster. Resist water penetration & absorption in to concrete & plaster surface. Increase density & strength of the Cement mortar by reducing water to cement ratio. Helps reduce salt precipitation , efflorescence & fungal growth. Helps Crystallization of cement particles. Gives protection to cement surface against vapors of acid & alkali. 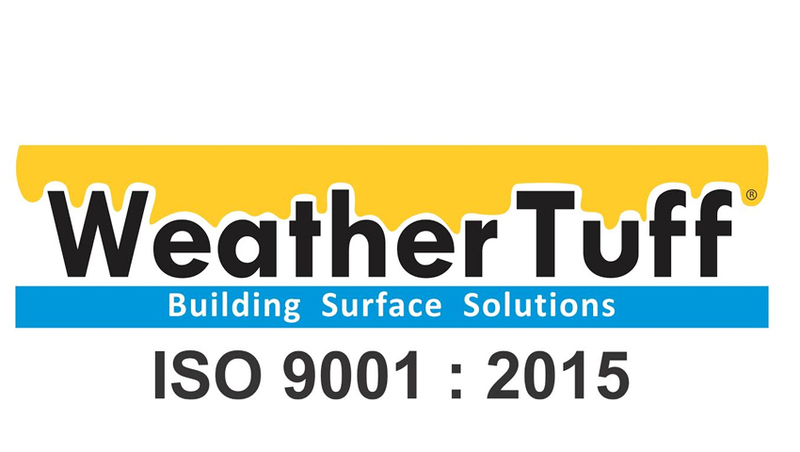 We are successfully ranked amongst the topnotch entity offering a wide range of Latex Base Waterproofing Coating. It finds wide application use in repairs to RCC beams, columns, slabs and other RCC members, in repair mortars/concretes, waterproofing of terrace, toilets, chajja, masonry walls, and waterproofing for mortars / concretes. Once the coating is ready for operation, our engineers ensure by opting strict quality checks so that the coating offers reliability and high performance to the clients. Furthermore, clients can opt for custom design and compact design according to business requirements. Since our foundation, we are engaged in presenting an outstanding quality array of Latex Based Acrylic Waterproofing Coating Chemical. The offered coating is developed in accordance to industry norms and quality parameters. In the offered coating, our professionals use the approved material during the manufacturing process. In addition, this coating can be built and developed according to the specification provided by the clients. Furthermore, our professionals opt for strict quality inspection made on the coating to ensure high performance. As an affluent name of this domain, we hold expertise in presenting high quality Solvent Base Clear Waterproofing Material. The offered material is developed in accordance to industry norms and quality parameters. In the offered material, our professionals use the approved material during the manufacturing process. In addition, this material can be built and developed according to the specification provided by the clients. Furthermore, our professionals opt for strict quality inspection made on the material to ensure high performance. Rust resistance, Mild Termite resistance to wood, and for total weather proofing over coat, on any paint coated wall. Scratch resistant and shining fora long longtime. It prevents oxidation. Tuff Coat is slow drying. It's drying time is approximately 4/5 hours. Hence necessary precautions betaken. It has strong adhesive property among many other. Hence use it with utmost care. Use hand gloves and clean brush or other applicator by solvent after use. If contacted by skin clean with hot water or solvent. Protect eyes by wearing eyeglass during application. If splashed in eyes clean with plenty of water immediately and consult physician if required. Waterproofing & Rising dampness of construction surface. Final coat on wood, MS Structure, Concrete. On final painted surface for total protection from weather. As if it is slightly yellowish, do not apply on white coat. Excellent results are found to stop rising dampness on walls. Prepare surface for application as for any other paint. Make surface clean and free from any dust, oil & grease, dry and without any loose flakes. Use sand paper or Emery paper and remove loose residuals. Clean such prepared surface by wet cloth so that surface is ready for application when dry. Apply 1st coat of "Tuff Coat" on such prepared surface. If by brush apply on two crossed brushing. Apply 2nd coat after 3/4 hours, if necessary. Make sure no dust or other particle is getting stocked on surface while it is drying. Check the surface after 4/5 hours of drying time. 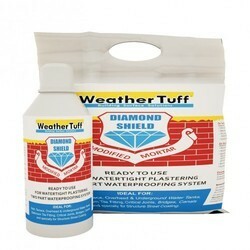 Get the ultimate protection of properly applied surface with "Tuff Coat", where ordinary primer are not enough. Assisted by a qualified workforce and advanced manufacturing unit, we are engaged in offering a wide range of Waterproof Coatings. Our professionals bring forth an excellent range of coatings that are manufactured using premium quality material and latest techniques at our production unit. In addition, these coatings are built and developed adhering to industry standards. Furthermore, our professionals opt for strict quality inspection made on the coatings to ensure flawless performance. Our company has gained name and fame for offering Solvent Base Wood Primer(Ultra Premium Protective Coat) to the clients. This product is manufactured by making use of quality-approved components under the observation of highly experience technocrats in accordance to industrial quality standards. We are offering a wide range of Elastomeric Acrylic Waterproofing Chemical. Since our beginning, we are engaged in presenting a wide range of excellent quality Sealercoat Waterproofing Acryic Base Exterior Paint. It is used for surface preparation, filling of cracks, primer coating, and finishing. The offered paint is made available in 1 Kg, 5 Kg, 27 Kg, and 50 Kg packs. It is applied in RCC, cement surfaces and asbestos sheet. In addition, our engineers have developed the paint adhering to international industry standards and using quality and approved material. Besides, clients can get the paint from us at cost effective prices. Primer Coat: Old, uneven and highly porous cement surfaces absorb essential polymers ofSealercoat. Hence- apply one or two coats of Sealoxy Primer or any other water based Undercoat for the best results and good finish. Joint Filling: Between the overlaying joints of Galvanized / Asbestos. Sheets, insert cotton bedding orgauze, soaked & dipped in un diluted Sealercoat for at least 2 inch in depth. (Length wise). Galvanized “J” bolts may be covered with cotton gauze dipped in undiluted Sealercoat & liberally wrapped around the bolt to cover sufficient area.